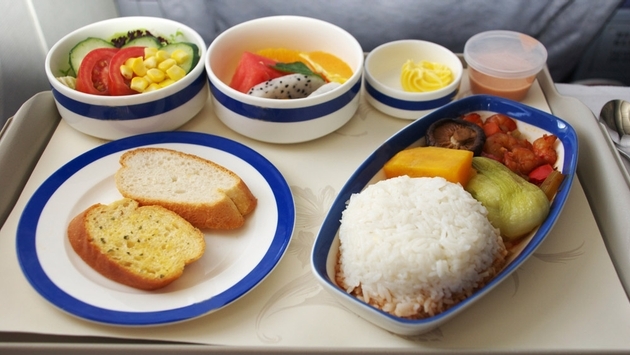 A survey found the healthiest airline food can be found on Delta and Virgin Airlines. The healthiest food on North American airlines can be found on Virgin America and Delta. But Air Canada comes in tied for second, a survey says. The survey was conducted by Charles Platkin, PhD, JD, MPH, the executive director of the Hunter College NYC Food Policy Center and editor of DietDetective.com. He’s been doing the studies for years, which help fliers keep healthy in an environment that’s not always conducive to that sort of thing. Platkin gave Delta and Virgin America each 4 stars, singling out Delta for doing “an incredible job focusing on improving its food, transparency and communication.” Platkin recommends the almonds on a Delta flight and, for a meal, the GMO-free Tapas Snack Box. Platkin said Virgin America is the only airline that provides nutritional information (and not just calories per item) for its in-flight food and that he hopes this will continue once Alaska Airlines, which has bought V.A., takes over. As for menu items, he likes the Udi’s Granola with Yogurt and Fruit at breakfast and the Protein Meal snack box with hummus, nuts and tuna. Air Canada, which has traditionally fared well in Platkin’s reports, was given a 3.75 score and tied for second place with JetBlue. Platkin said he likes the Greek yogurt at breakfast and the newly-added Pangoa Bowl and the Fiesta Wrap; both high-nutrient, low-calorie choices. He also likes the California Roll and says the Thai Chicken Wrap is high in protein and low in calories but has too much sodium. He suggests passengers skip the egg sandwich and said the pretzels and Tostitos offer little nutritional value. 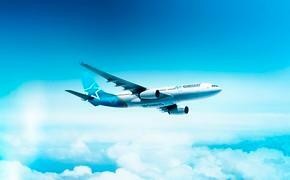 Air Canada was the only Canadian airline rated in the study. At the bottom of the scale, he said, is Hawaiian Airlines. He gave their food only one star, noting the average meal calories amounted to a whopping 971 (versus 377 for Air Canada). He said the Hummus and Pita Chips are the best choice on board Hawaiian. The salted macadamia nuts would be a good choice “but only if split amongst five people and consumed over the course of a few weeks.